Margaret Ann Marine, 81, of Newark passed away surrounded by loving family at Christiana Hospital in the early hours of Tuesday April 9th, 2019. Born in Hurlock MD on August 6, 1937, Marge moved to Wilmington DE as a young girl where she lived for many years. After graduating from Brown Vocational High School she became a beautician, then the deli manager at Penn Fruit on North Market Street, and finally she worked as a waitress at Howard Johnson's for over 20 years. Marge is predeceased by her mother and father, Martha V. Marine and James N. Era. She is survived by her three sons Mark (Joyce) Hicken, Michael Hicken, and Matthew (Robin) Hicken, as well as her grandchildren Matthew Hicken, Kayla Frank (Henry), Michelle Hicken, Jessica Hicken, Michael Hicken, and Jamie Hicken. 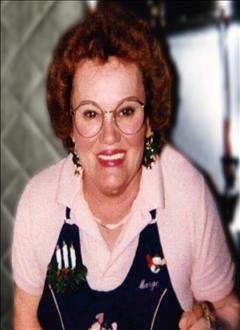 Marge was a lively woman whose sense of humor brightened every family gathering. During her long years at Howard Johnson's Marge was a favorite of many customers and became fast friends with her weekend breakfast/lunch counter regulars. She loved being a doting Mom-mom to her grandchildren and spending time with her family, from taking vacations and traveling together to playing games of poker and Monopoly. She was an avid sports fan and an animal lover; she loved watching birds feeding at her window and spending time with her cats as well as all of her family's pets.